The GC32 already had a smooth fast ride, and it managed to reduced wet surface in skimming mode. But it didn´t achieved full foiling. 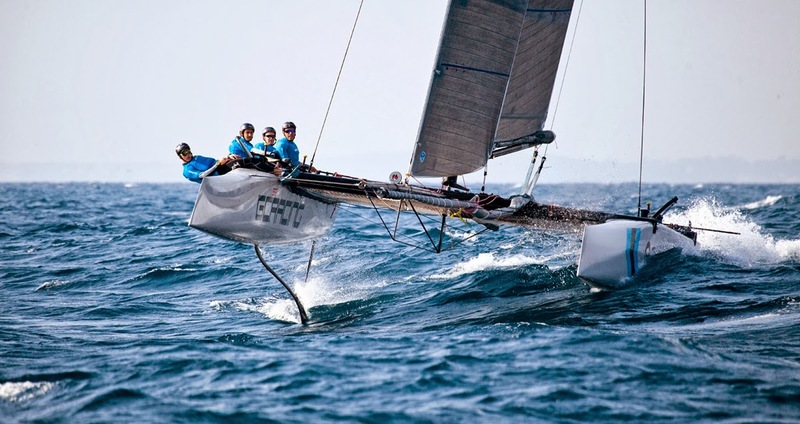 Now with a stable proven solution use by the Flying Phantom and Cammas Groupama C-Class the GC32 team will use that experience to fit their 32 feet. Fleet racing in foiling 30' footers is going to be a blast. More details tomorrow... Image below by Christophe Launay. GC32s with previous S daggers & L rudders combo, racing at Nice.